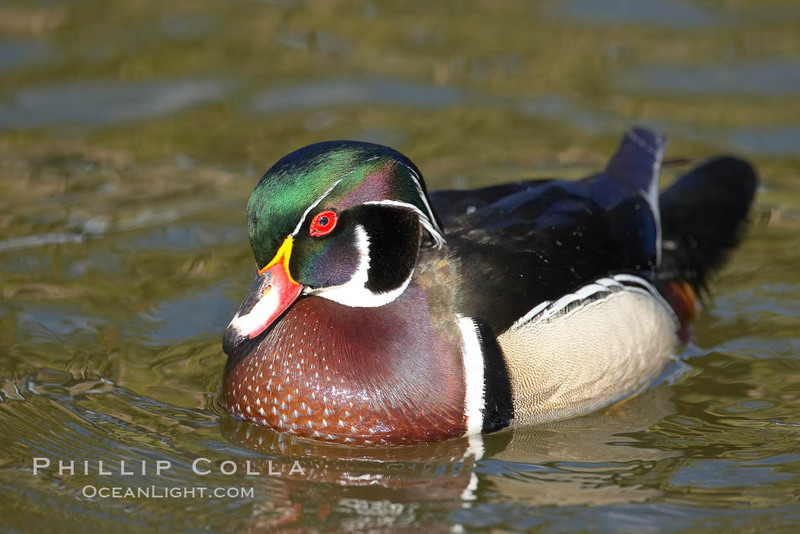 The wood duck (Aix sponsa) inhabits lakes, swamps and streams throughout much of North America. Curiously, it is one of just a few duck species in North America that nests in trees. 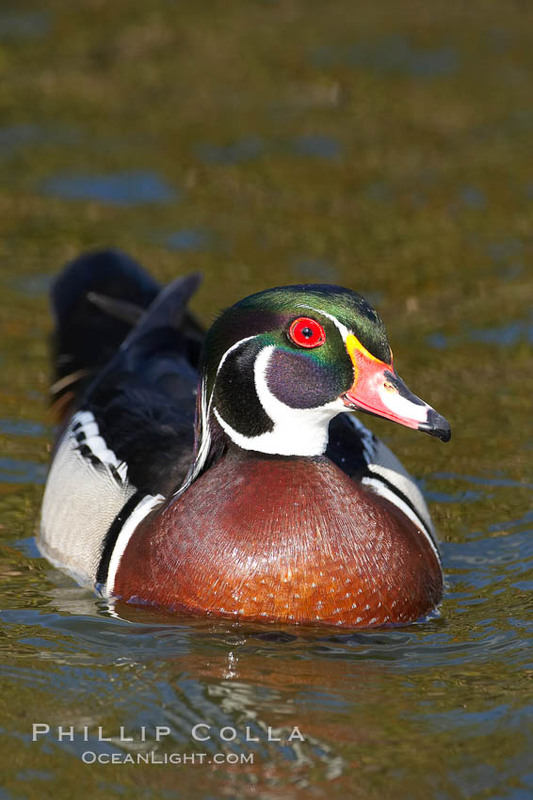 The male wood duck has a bright plumage pattern including rich green, white, brown and red colors, while the female wood duck is a much less eyecatching dull brown. Wood ducks successfully use nest boxes, if they are available. Wood ducks nest in trees adjacent to or overhanging water. When the ducklings hatch the mother wood duck will call to them, encouraging them to jump from the nest to the ground — falls of nearly 300′ are described with no injury to the featherweight, fluffy ducklings. 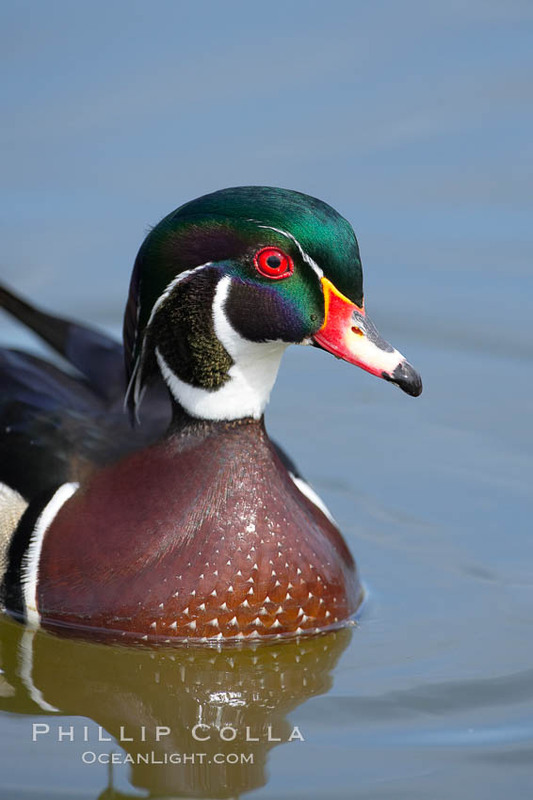 The wood duck is a game bird and second only to the mallard in the numbers that are shot each year.